I am in the middle of a huge personal change. Outwardly, nothing is different. I am still your average mother and housewife, running around with the children, doing the chores, managing the house, and all the other nuances of a mundane life. But inwardly, well, everything is changing. And the reason for this is that I actively chose to step away from the dark, consuming, terrifying depression that threatened to engulf me, and I chose instead to focus my thoughts and energies on healing and being healed. Ha, you might scoff, that is not depression. How dare you trivialize such a serious and dangerous illness? Well, I can assure that I am not. True, I have not received an official, medical diagnosis from my local GP. I have visited my doctor’s surgery several times during the past two years, all for stress-related ailments and problems. One time I was referred to another medical unit for assessment. They simply advised me to get external marriage counselling, and they sent me away. My subsequent visits yielded nothing more than a vague suggestion to get some rest and take paracetemol for my aches and pains. Yeah, because I can rest when I am home alone with two small children, all day every day! Anyway, the whole situation seemed to engulf me, but it took a while for me to understand. You see, my husband lives with a very severe anxiety disorder, and it manifests in his inability to break away from being in the workplace. I put all of my attention into supporting him, and caring for our children and our home, but I forgot to pay attention to myself. I fell into the classic trap. We care for everyone around us, and we forget that we, as individuals, need care and attention too. And often it all comes to a point where we go beyond coping, we fall apart, and everything is plunged into chaos. Fortunately for me, I already practise Law of Attraction, the power of positive thinking, mindfulness and meditation. My problem was that I had let my self care program slip while I became absorbed in my family’s needs. I stopped meditating. I stopped studying holistic health. I even slowed right down in my personal interests such as reading books, doing crafts, and socialising with friends. I was too tired. I had given it all up. I had become a machine, and I was all out of gas. And I crashed. I spent all of last week in a haze of misery, self pity, aching and sore, feeling completely exhausted. And then, I snapped out of it. Well, sort of, I mean, it’s not that easy, is it? I took some time to think very carefully about my situation, my place in life, and where I was heading. I made a decision. I made several decisions. And then I started meditating again. I performed some proper space clearing rituals in my home, and around my body. I am still doing it now, since this program has to be continuous if it is to be effective. That’s the point, you see. We have to accept ourselves, and care for ourselves, before we can care for those around us. So I am doing just that. I will make arrangements for other people to have my children so that I can have a break. I have already resumed my crafting hobbies, and that alone has really cheered me up. And the rest? Well, we have to take each day as it comes. But the point is, I refuse to sink right into the depression that beckoned so temptingly. No. I remain focused on a higher energy vibration. I am a positive person. 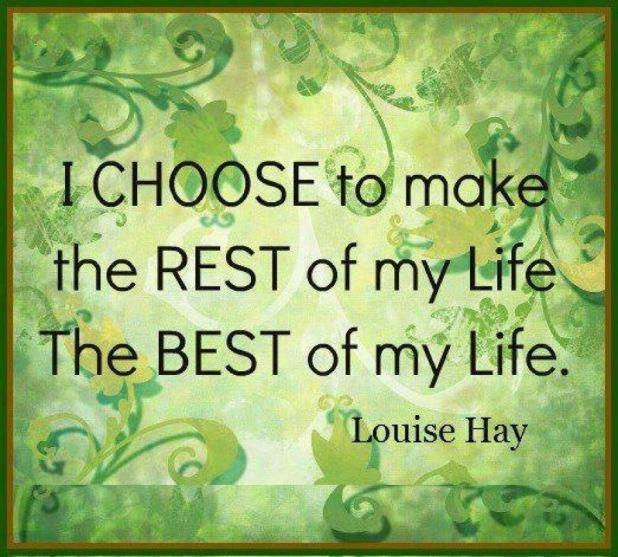 I am making positive changes in my life. I am. Are you? This entry was posted in family, health, holistic health, pagan mother, Random Musings and tagged #30plusblogs, #bbloggers, #bloggersblast, #bloggerslife, #blogginggals, #Britmums, #pbloggers, #TimetoTalk, #Tots100, alternative health, anxiety and depression, being a positive person, catherine green, coping with depression, emotional health, end the stigma, family health and wellbeing, holistic health, housewife or working mother, law of attraction, living with anxiety, mental health awareness, mental health in pregnancy, mental-health, my spiritual journey, pagan mother, recognizing the signs of depression, severe anxiety disorder, SpookyMrsGreen, the pagan housewife, the power of positive thinking. Bookmark the permalink. I’m not scoffing. I’ve been through a similar though very different journey, health problems, work frustrations and a bit of depression, though thankfully not too bad. I’ve made the same decision as you – step away! Do what helps and don’t give in to negativity. I admire you enormously for dealing with this positively and actively, that is very hard. Thank you Catherine. It resonates and you express it so much better than me (that writing thing!) and also, I can’t always express myself as honestly as I’d wish as my children read my blog. Not that I keep things from them but you know, I keep things from them! Whilst we can’t always control what goes on in our life, we have a choice on how we react to it. I admire Spookymrsgreen’s attitude. I hope I’m as strong.